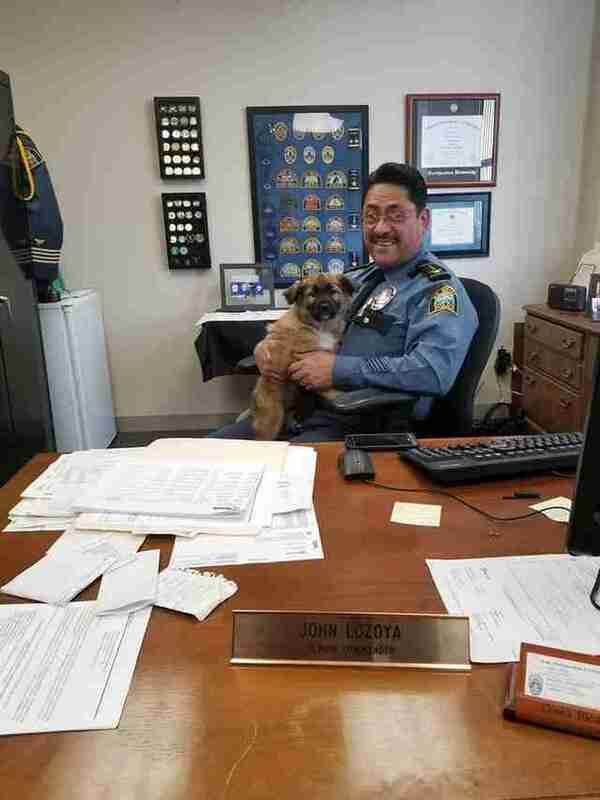 Police have long been known as “the fuzz” — but one department in Minnesota has taken it quite literally. 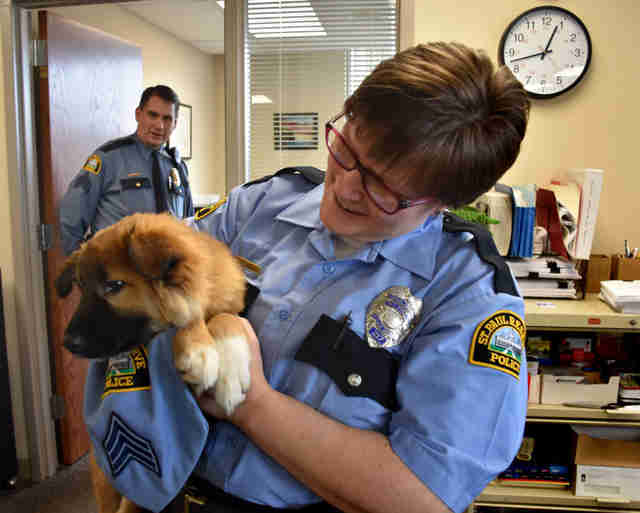 Late last year, Officer Kathryn Smith of the St. Paul Police Department was called out to a local farm because a stray mother dog and her puppies had been hanging around the property for a few days. 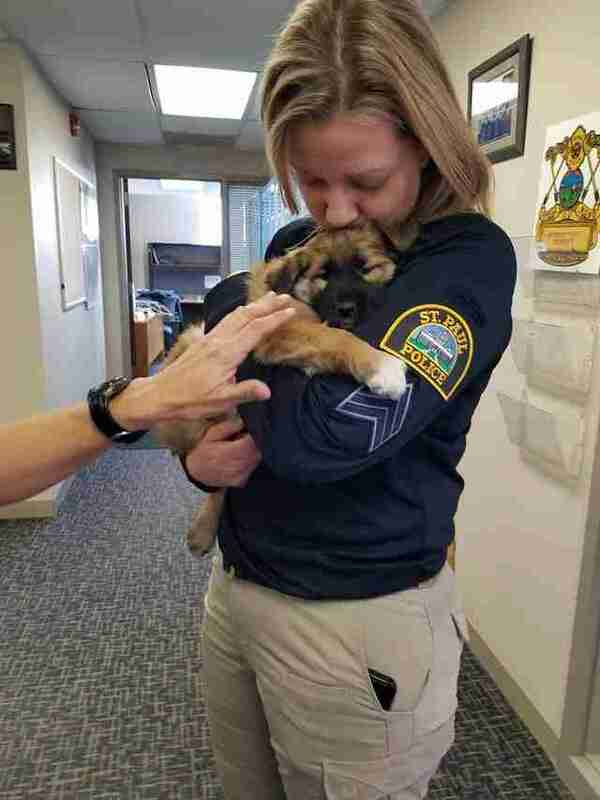 She went out to the scene to bring them to safety, and ended up adopting one of the puppies, later named Fuzz, in the process. 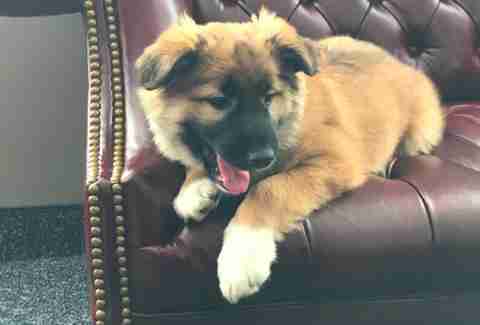 But at the department office, the 5-month-old pup is now best known as Sgt. Fuzz. 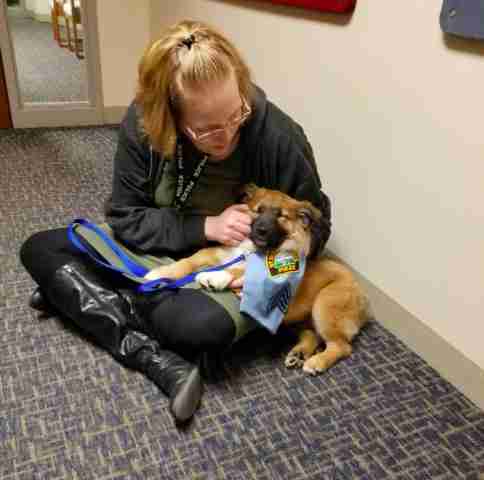 Since they often deal with high-stress situations on the job, the officers and staff members found that visits from 5-month-old Fuzz gave them a small break to focus on something happy. 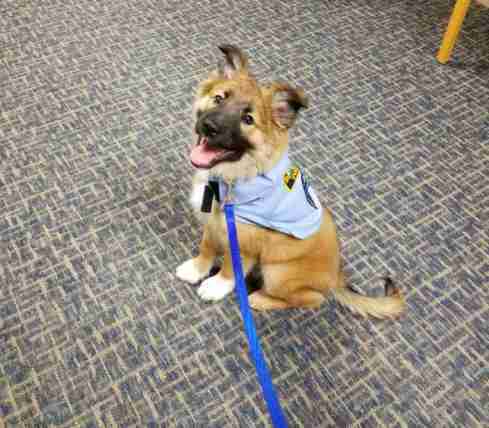 The department decided to hire Fuzz as its “cuddle officer,” working part-time at about 10 hours per week while his mom is there. He spends his days greeting staff members, playing ball and, of course, cuddling. Due to his calm and sweet disposition, the department is planning to enroll Fuzz in a therapy dog certification program once he’s old enough so he can help even more people. Until then, Fuzz is loving all the attention — and will be making regular appearances at community events sponsored by the department. To keep up with Sgt. Fuzz, you can follow the department on Facebook for new updates every #FuzzFriday.